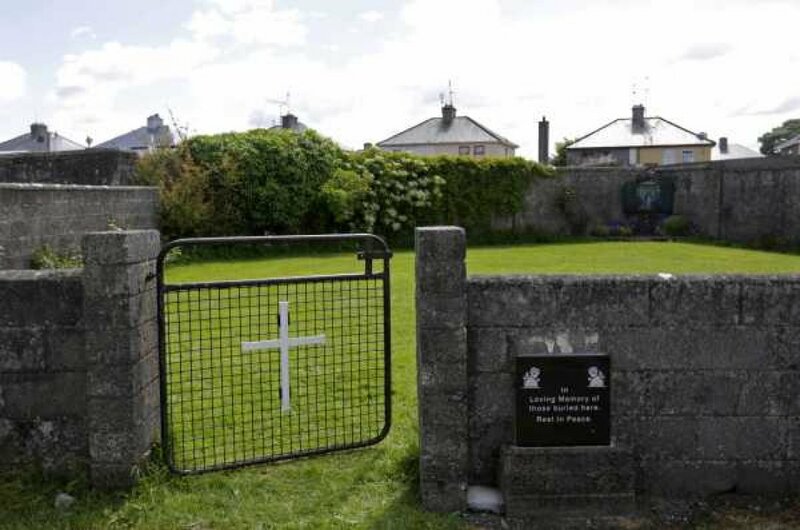 Tuam babies: Where were the fathers? 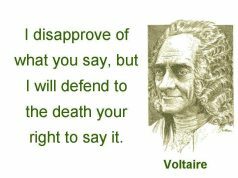 Maybe, ask Desmond Doyle. But she need not wonder. Anyone who watched the 2002 movie Evelyn will be provided with a glimpse of the answer. 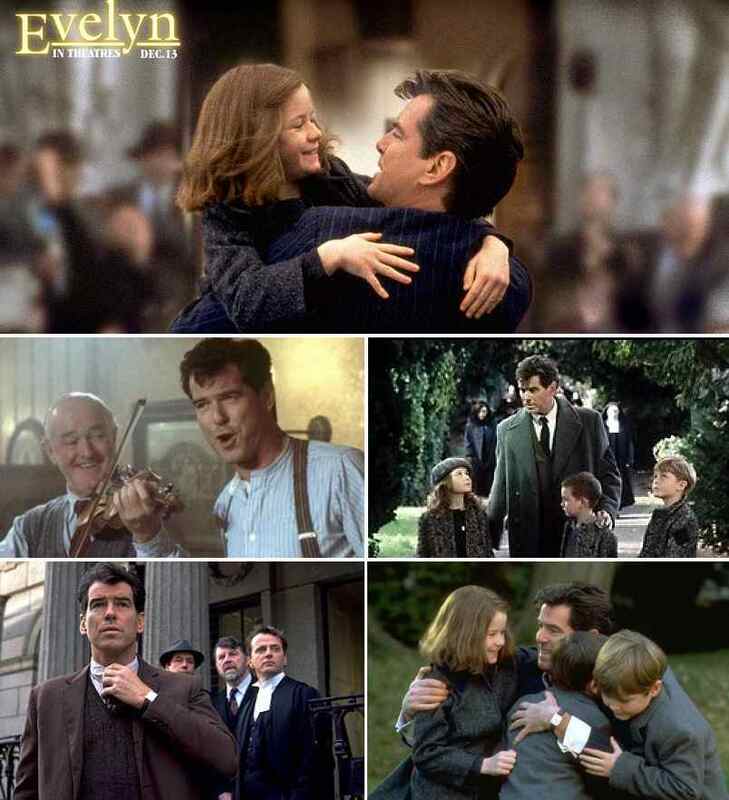 Starring Pierce Brosnan, the film is based on the true story of Desmond Doyle and his fight in 1950s Ireland to secure the release of his children from state-controlled and religious-run orphanages and back into his care. On the day after Christmas 1953, the 29-year-old Dublin labourer suddenly found himself a single father when he arrived home from work to discover that his wife had abandoned their family and taken off for England with her boyfriend. Left behind with him were five boys and one girl, Evelyn. It was Evelyn who years afterward decided to write an account of all that followed. She sent an outline to a BBC drama editor. For years nothing happened. Then scriptwriter and film producer Paul Pender discovered Evelyn’s draft. Sometime later she received a life-changing phone call. 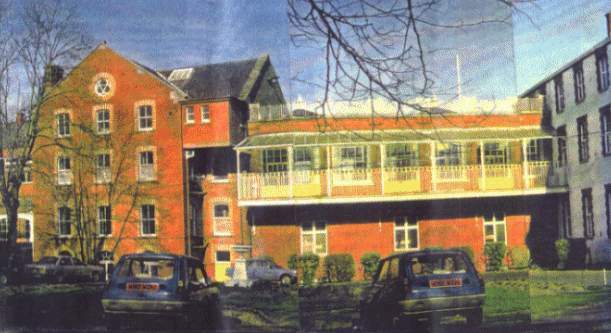 The Doyle family lived in the tenements of Fatima Mansions. Desmond was often forced to travel to find work to support his wife Charlotte and their six children. Charlotte was frequently out of the home too, “gallivanting” with her boyfriend. As a result, the children often had to depend on their neighbours for food and care. It was during such a period of neglect in late 1953 that one of the boys burned himself and was hospitalised to receive skin grafts. On the morning of St. Stephen’s Day that year, Charlotte Doyle told her daughter Evelyn, who was also up early, that she was “going for the messages.” But her mother’s words didn’t make sense to six-year-old Evelyn. Her message bag was full. Where was she really going? Yelling “Mammy, come back!”, Evelyn raced after her mother. Believing he had no other option, he handed his children over to the care of the authorities and, like thousands of others, he left depression-era Ireland to find work in England. So began Desmond’s long legal battle to be reunited with his children. A year passed when, in November 1954, Doyle’s solicitor, family law specialist Michael Beattie, was also rebuffed: “It is regretted that your application to have further consideration given to the question of the child’s discharge cannot, therefore, be granted.” Desmond faced another unspoken problem, too: In Catholic Ireland, Jessie Brown, his ‘housekeeper’, was Protestant. Evelyn and her brothers were reunited with their joyous father. 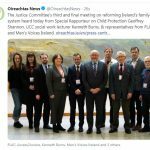 It was the first time anyone had successfully mounted a constitutional challenge to an Irish statute involving children. But Evelyn knew the battles he’d fought to have her and her brothers released from children’s homes, how he’d changed the law and how he’d brought them up, whatever the hardships. 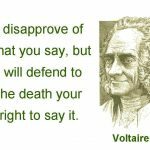 An excellent and moving account of the Doyle family saga can be found at Awesome Stories: Evelyn: Changing The Law In Ireland. 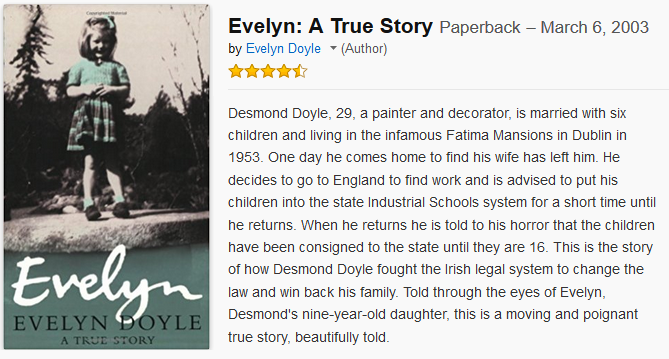 The movie version of Evelyn’s story has been criticised for its ‘Hollywood ending’ which suggests that Desmond Doyle’s legal victory paved the way for other children to be released from so-called ‘industrial schools’ and reunited with their parents. In reality, the government responded to the Doyle judgement by introducing legislation that made it harder for children to leave the industrial schools. The 1957 Amendment to the Children’s Act gave the Education Minister discretionary powers over children in care. And Irish officials rarely sided with the parents who wanted their children back. Although places of sanctuary for some children, Ireland’s industrial schools were homes of horror for others. 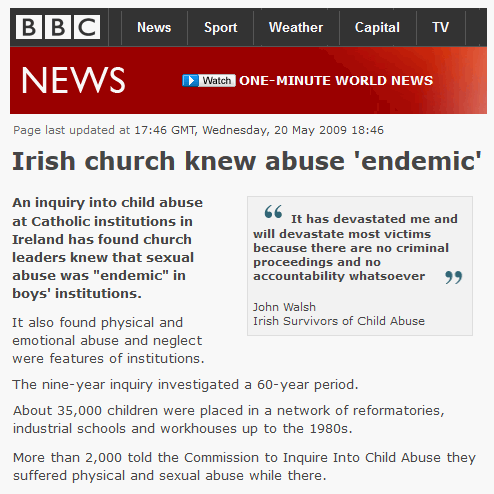 In 2000, The Commission to Inquire into Child Abuse was appointed to study what happened. Its five-volume report, published in May of 2009, uncovered many serious problems, including physical and sexual abuse. But many of the schools’ survivors labelled the report a whitewash that left them “cheated of justice”. 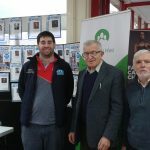 If the case of Desmond Doyle illustrated the limited rights of married but deserted fathers, the example a decade later of Leon Nicolaou showed that unmarried fathers had no rights at all under Irish law. In late 1950s London, Galway-born Kathleen Donnelly met and began a relationship with Leon Nicolaou, himself also an immigrant who hailed from the Greek community in Cyprus. On a visit back home in 1959, Kathleen discovered she was pregnant. She returned to London and in February 1960 gave birth to a daughter, Mary Carmel. Leon proposed to Kathleen, but their marriage plans ran into two issues. Kathleen suffered bouts of depression, for which she would in later life be institutionalised for a period. And her Galway-based family would agree to the marriage only on condition that Leon, who had a Greek Orthodox background, converted to Catholicism. Still living in London, Leon kept in contact with Kathleen through letters, in which he stated his wish to bring up Mary Carmel himself as an alternative to adoption. He travelled to Galway that September to Kathleen’s house, asking where his seven-month-old daughter was. “I have given her away”, Kathleen replied. Leon immediately began legal action in Dublin. But it was not until 1964 that the case came to a full hearing before a three-judge High Court. Undeterred after losing his case there, Leon appealed. The Supreme Court ruled that the natural father of an ‘illegitimate’ child was not entitled to be heard prior to making an adoption order. Leon’s argument was that the legislation that permitted his child’s adoption without his consent infringed his own natural rights as a parent. Leon travelled from London to Galway in September to Kathleen’s house, asking where his seven month-old daughter was. “I have had given her away”, Kathleen replied. That, Leon, as a foreign national in a culturally-insulated Ireland, pursued his legal challenge all the way to the highest court in the land was both an extremely rare occurrence and proof of his clear attachment to his daughter, Mary Carmel. However, the Supreme Court dismissed his role as “callous seduction” and “casual commerce”, colouring the Irish courts’ perceptions for decades to come. By the time the Supreme Court had delivered its verdict, Mary Carmel was five-years-old. Luckily, she was not exported like so many others to the United States. As it turned out, she was adopted and raised in Dublin by a very loving couple. She was told she had been adopted but was not aware of the circumstances. Then, one day when she was about twelve, she found a stack of old letters in a wardrobe. All were addressed to her directly, Mary Carmel. But instead of a signature, they were signed with a star-shaped symbol. They were the affectionate letters from a father to a daughter, telling her about his life, his circumstances and his hope to meet her one day. Speaking years later, Mary Carmel believed her adoptive parents concealed letters in the belief that reading them would be too difficult for her. One day when she was about twelve, she found a stack of old letters in a wardrobe. All were addressed to her directly, Mary Carmel. But instead of a signature, they were signed with a star-shaped symbol. ‘Where were the fathers?’, indeed. Even more recently is the Keegan case. In 1990, the Supreme Court ruled that not only did there exist no legal obligation to seek a non-married father’s consent to adoption. There was not even a legal requirement for the father to be informed. Here is Joseph’s story. Following a two-year, living-together relationship between Joseph Keegan and his partner, the woman became pregnant around Christmas 1997. They agreed to marry, but the relationship ended shortly afterward. The expectant mother returned to her parents, wh0 blocked Joseph’s efforts to contact her. Their child was born that September. 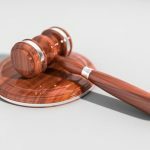 On learning that the child was given up adoption by the mother two months later, Mr. Keegan began legal proceedings in the Circuit Court seeking guardianship and custody of the child. In this case, Joseph was supported by his family who proposed to bring up the child in their family home. His sister and mother stated they were willing to care for the child during the day while he was at work. Mr. Keegan lost his case in Ireland, but went on to Europe and, in 1994, won. The European Court of Human Rights ruled that the Irish state was in breach of Article 8 of the European Convention on Human Rights and Fundamental Freedoms (which embraces both marital and non-marital families), in failing to protect an unmarried father’s ‘right to respect for his private and family life’ by providing that he be consulted in the adoption process. 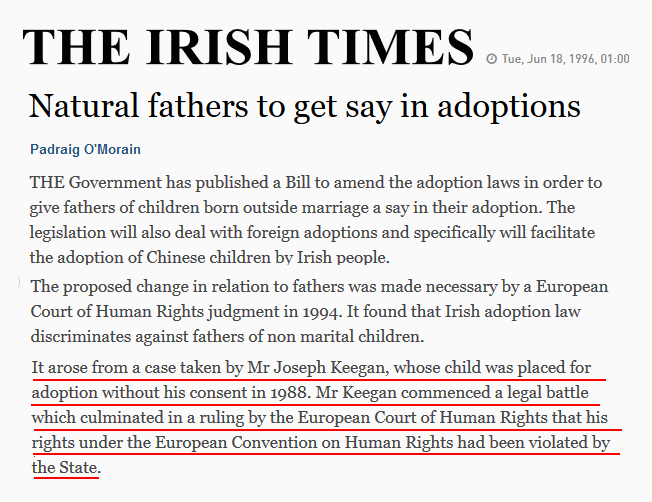 Joseph Keegan’s legal victory in Europe forced Irish law to change in 1998. And remember, he had to go all the way to Europe to win even this most trivial of concessions. The discrimination goes on. In 2013 (decision DEC-S2013-010) a father won his Equality Tribunal case for gender discrimination against the Department of Social Protection, who at the time had a blanket policy of refusing accommodation to unmarried fathers which would allow them to exercise their access rights to their children. 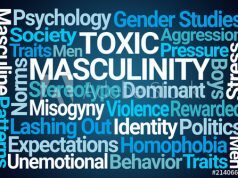 Taking all these examples and court rulings into account, even the most biased observer would be forced to admit that the Irish state placed many obstacles in the way of fathers, married or otherwise, who wanted to be involved in the rearing of their children. It continues to do so. 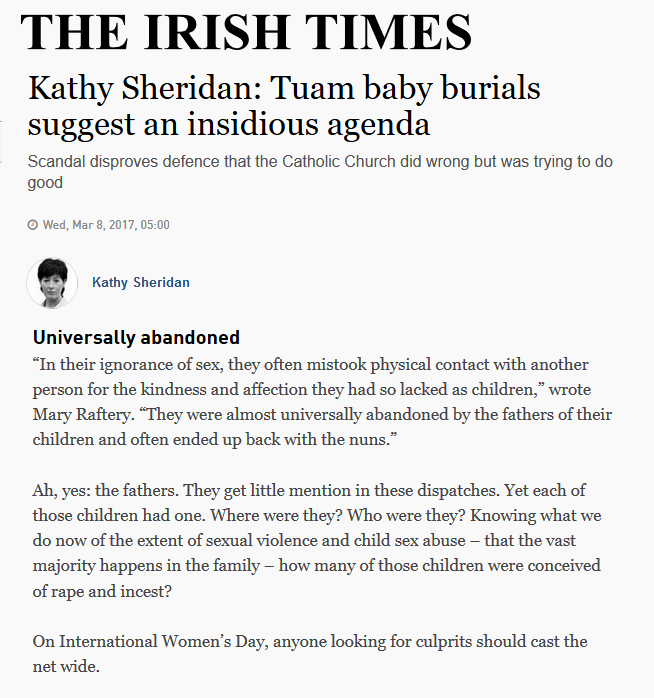 Given that the Tuam case is about the importance of not allowing identifiable groups to be stigmatised, I feel Kathy Sheridan may be in danger of doing exactly that. Previous articleWill a son in the White House make a difference for America’s men and boys?